To their surprise, two drifters, just married, become six drifters as four journalists clamber aboard the craft to bob upon the inky waters. Once aboard, fisherman Dessie punts ‘Hasslo’, a wooden fishing skiff named after his grandfather, to deeper seas. A cloud of spent two-stroke momentarily chokes the air, hardly visible in the before-dawn darkness. In the distance, clouds shaped like mountains, battleships, and even the island’s mascot, the dodo, threaten to eclipse the sunrise to which we steer. We cut waters past the resort’s catamaran, where an improvised strobe effect light and cocktails made with strong, sugar-cane gin, ‘The British Brigadier’, were enjoyed in number only hours before. We also pass Snake Island (which is today fortunately free from serpents) and sister resort, Paradise Cove, a grown-ups only property. Although working with textiles before later becoming a mechanic, Dessie tells us how he has fished for most of his life. He gestures to an empty wire creel, “Lobsters are rare because you’ve eaten them all!” The sun suddenly breaks through the dark humidity: a giant molten bullet rendering us silent, warmed and pleasantly aghast that this, oddly, is winter. Soon, Hasslo’s prow nudges a white sand beach mottled, Dalmatian-like, with tufts of seaweed. “A week ago the weather was rowdy,” Dessie says. The drying, dying fronds contribute seasoning to the atmosphere: a salty-sweet tang. Dessie unpacks fried bean cakes, perky passion fruits and jugs of steaming coffee. Now boisterously hot, the sun has shot high into the sky, casting light onto the, at-first, misspelled “Mauritius” which one passenger carves into the shore. Another swims between volcanic rocks, pocked and as black as charcoal, lapped by the low tide. Revived, we skim back to our base, the brand new Zilwa Attitude resort, at a rate of knots. However, a pair of dolphins, arcing in pursuit of tasty flying fish warrants an intermission. Dessie unwinds the throttle. The moment’s peace is cracked by the relentless shutter of the honeymooners’ lens who perhaps fancy they glimpse in the dolphins a pair as committed as themselves. The young couple from Cornwall are two of an ingress of one million tourists a year who board planes to visit this tropical island, their every whim catered for by a web of 173 often inclusive, self-contained hotels and resorts. However, unlike the majority of that gamut, they prove, by taking to the waters this morning, that they intend to discover if textbook paradise also has culture. Zilwa Attitude is the island’s only resort to offer the morning aboard the fishing boat. As well as encouraging guests to rendezvous with islanders, they also weave the native fabric into the resort, from locally-hewn, polished stone floors in bedrooms and suites to beachside home-style barbecues with soul-nourishing octopus curries. Over to the East, the management behind the pristine and spacious Four Seasons at Anahita also strive to connect check-ins with a sense of authentic heritage. Dinner, poolside, fuses the cuisine of the island’s melting pot of inhabitants (Creole, Chinese, European and Indian) with mesmerising Sega dancing. Cut to the drum, spicy mantras combine with dynamic gyrations emanating from hips, while feet are firmly rooted to flagstones. And in the spa, the signature sugar cane massage, where hardened plant is oiled then expertly wielded on the human form like a rolling pin before being applied with wood-pecker-like rhythm is a memorable way to heighten one’s circulation. Gastronomically, despite numerous ratings of “Satisfactory” in their guestbook, Bois Cheri, a century old tea factory and museum offers an insightful tour while their chalet, overlooking waxy, bay-like tea plants and sea, devises food pairings with the various brews, as well as dishes which comprise it, from chutney to calamari with green tea. The British Brigadier is not the island’s only distillate. Despite being only seven years-old, the island’s fully-formed rum industry has fast become a major part of islanders’ lives, said cheerful guide. Vanessa. Chamarel a luxurious distillery at the end of a steamy drive through the clouds unravels in sight of Piton de la Petite Rivière Noire, the island’s highest peak. Of particular note is their rum slowly infused with coffee beans grown nearby. Also within the Chamarel plain, the Seven Coloured Earths, attended not only by tourists but simultaneously timid and inquisitive cats features tumbling waterfalls, an ecology of endangered trees and Rubenesque but barren undulations. Less other-worldly, Caudan, with pavement cafés, has a European vibe. The indoor craft market offers plentiful souvenirs, but sculptor, Philippe Edwin Marie outside, who moves his head with the deliberation of a reptile, is of greater interest. Love them or loathe them, his statues, smoothed from driftwood, reveal a lifelong obsession with covering the mouth. Like he, they wear expressions caught somewhere between sniggering and stifled surprise. 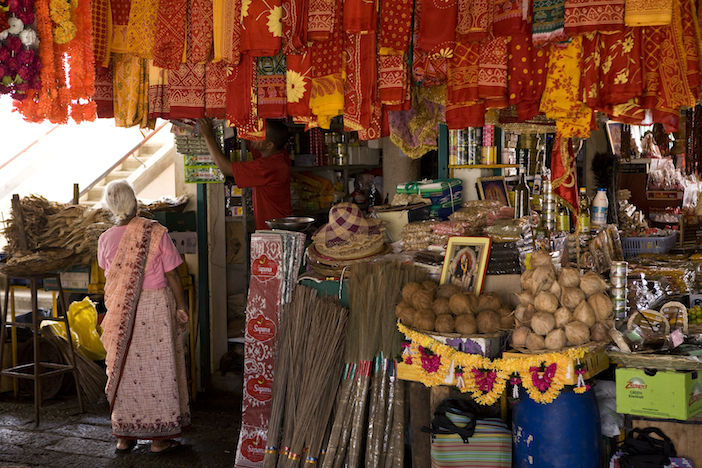 At capital, Port Louis, home to a chunky citadel and hectic racecourse, one stallholder renders the Mauritian flag from fruits at a market nudging a Chinatown so authentic that it isn’t for the feint of heart. Boulder-like melons, buckshot grenadines, tomatoes like bullets and curious, flat gourds are piled high. Under colourful canopies along the avenue, an array of eclectic stalls include one run by a fourth generation medicine man who is forced to concede he cannot “cure” his friend’s Seven Coloured Earths-like, beer-induced gut. 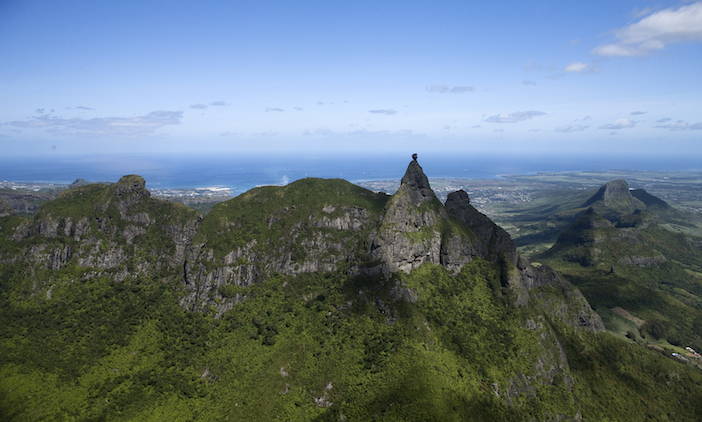 Zilwa off Royal Road, Kalodyne, in the north, is the newest of nine Attitude resorts on Mauritius. The highlight is the rustic barbecue on private island, Gran Zil to the repertoire of guitarist, Angelito. For more information, visit the Attitude website. 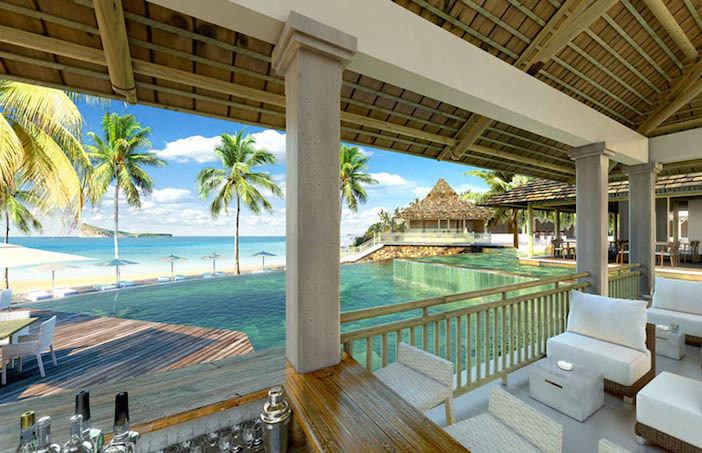 Four Seasons Resort at Anahita in the east basks in tropical gardens. Mattresses as soft as marshmallows mean it is hard to rise for the breakfast of sea urchin scrambled eggs served by a lagoon of hungrily-expectant fish. At dinner, waiter, Joanito prescribes a selection of home-infused rums, from tangerine and star anise to dragon fruit and lychee, and berry and rosemary. All followed by pristine Shisha. There’s more to be found at the Four Seasons website. 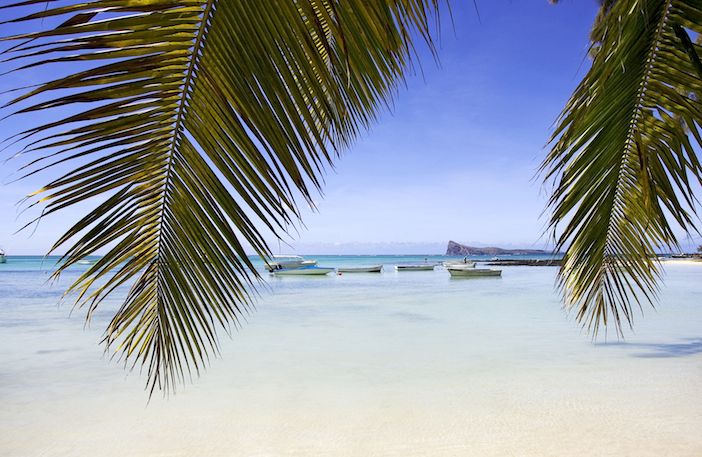 For more information about the island and its charm, visit the Discover Mauritius website.